Slips, trips and falls count for around half of the recorded workplace injuries, so how can these numbers be kept down in the treacherous conditions of a harsh winter? HSM speaks to Richard Burroughs sales director at Gritit. Health and Safety Executive (HSE) reports reveal that nearly five million days are lost in one year through workplace injuries, costing the UK economy billions of pounds. Such statistics are headline stealers. Yet, underlying this is the less attention grabbing, but no less serious, issue of slips trips and falls. These account for over a third of employee injuries, making up more than half of all reported major/specified injuries and almost 29% over-seven-day injuries. More than 50% of slips and trips occurred in the autumn/winter months. The figures for injuries from slips, trips and falls which are directly related to falling on ice and snow are lacking. However, the financial impact of people experiencing injuries on business premises in winter, in terms of litigation and financial penalties through heavy fines and greatly increased insurance costs, as well as loss of reputation, is very evident. Last year the Ministry of Justice was fined nearly half a million pounds as a result of a claim made by a former prison officer who had slipped on ice due to a lack of gritting. Statistics from leading insurance and risk professional QBE reveal that, between 2009 and 2015, there were 617 employer liability claims caused by snow or ice, with £6.9million paid claims and damages paid on 77% of claims. The UK climate is becoming increasingly unpredictable, and the mild winters of the last two years can make it is easy for businesses to become complacent with winter maintenance plans.any employers leave themselves very vulnerable to litigation and huge fines because they fail in their basic Duty of Care, risking their reputation, bottom line, and the health and safety of their employees and visitors by failing to tackle winter risks. An ad hoc approach to winter maintenance is no longer acceptable from a business confidence, continuity, risk, or health and safety compliance perspective. 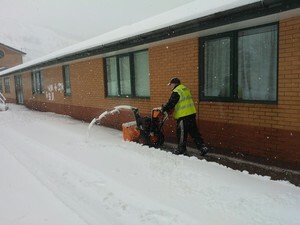 The HSE’s Approved Code of Practice for the Workplace (Health, Safety and Welfare) Regulations refers to snowy and icy conditions, noting that: ‘dutyholders need to minimise the risks from snow and ice, and the Health and safety at Work etc Act 1974 states that: ‘It shall be the duty of every employer to ensure, so far as is reasonably practicable, the health, safety and welfare at work of all his employees’. There is now a real need for businesses to demonstrate that reasonable efforts have been made to control possible slip hazards both inside and outside premises for staff, visitors and passers by. 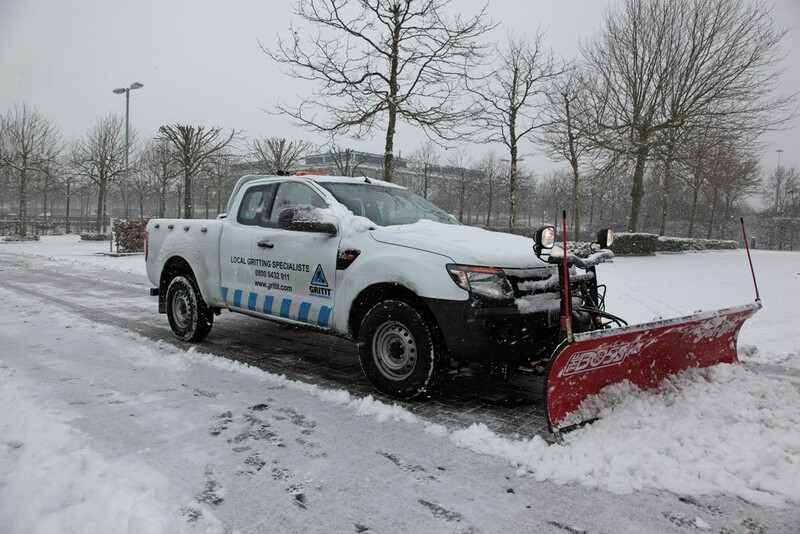 Organisations must have a planned approach to their winter maintenance programme with a winter risk management policy embedded at top level in their health and safety policy to give peace of mind that they are doing all they can to keep people safe. Organisations must ask themselves: would my current approach to winter maintenance stand up in a court of law. Choose the right provider for whatever level of service they need to meet the Duty of Care and manage risk. Ensuring that the plan is simple, clearly understood, and easily delegated and disseminated. Businesses should also ensure that the plan is robust through a recognised health and safety management system, such as the OHSAS 18001, and that it is embedded in the culture of the organisation right through all levels of the business. A good service provider can support risk, providing a fully-documented audit trail of information which can be used as evidence to support the client in court and ensure that the claim is dismissed. Businesses that are looking to employ a winter maintenance provider should speak to their current and former clients; check their level of accreditation such as ISO etc and get under the skin of their business.